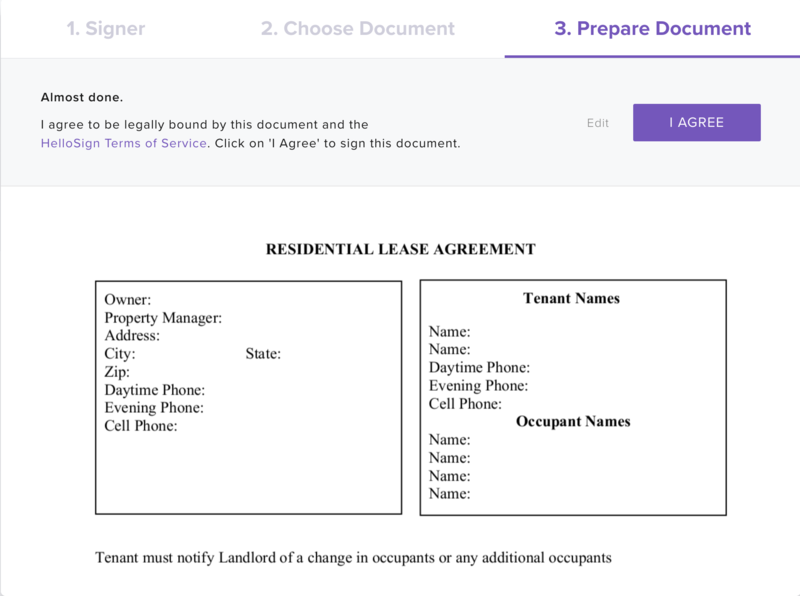 Please note: You have to list your property on Rentberry to be able to eSign your rental agreement. 2. 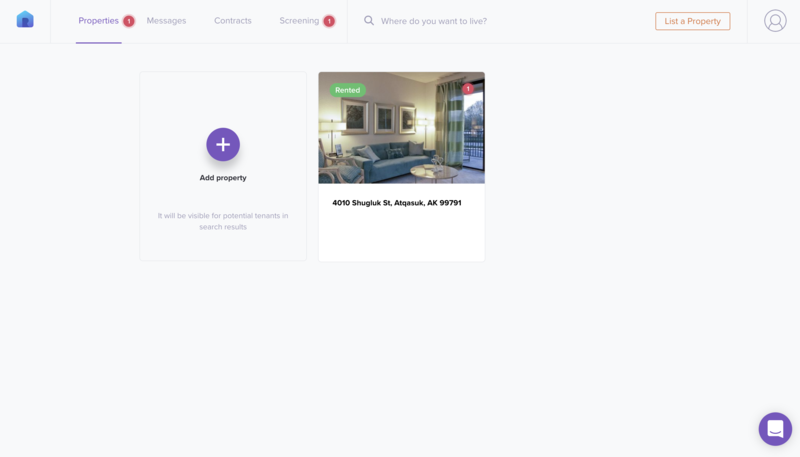 Click on the 'Properties' button on the top left corner of your screen. 3. Open the property page. 4. Click on the 'Sign Document' button. 5. We have a special option for agents and property managers. If you're not a landlord, we can send the document for signing to both tenant and landlord after you prepare it. 6. 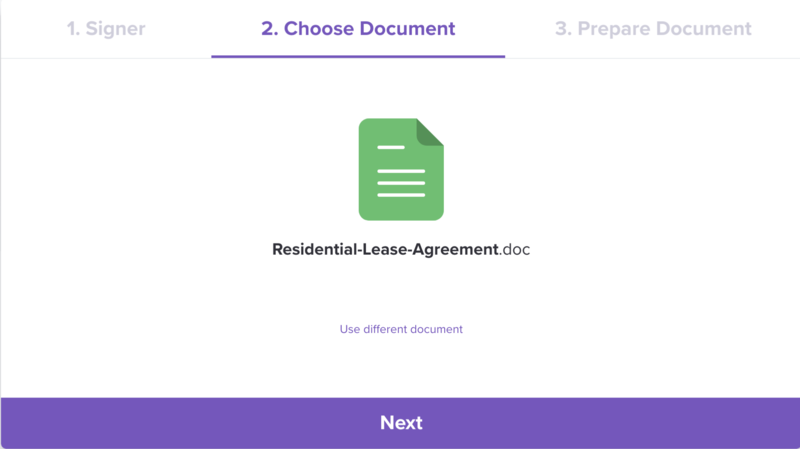 Upload the digital (scanned) version of your lease agreement. 7. Click 'Next' to proceed further after the upload. 8. 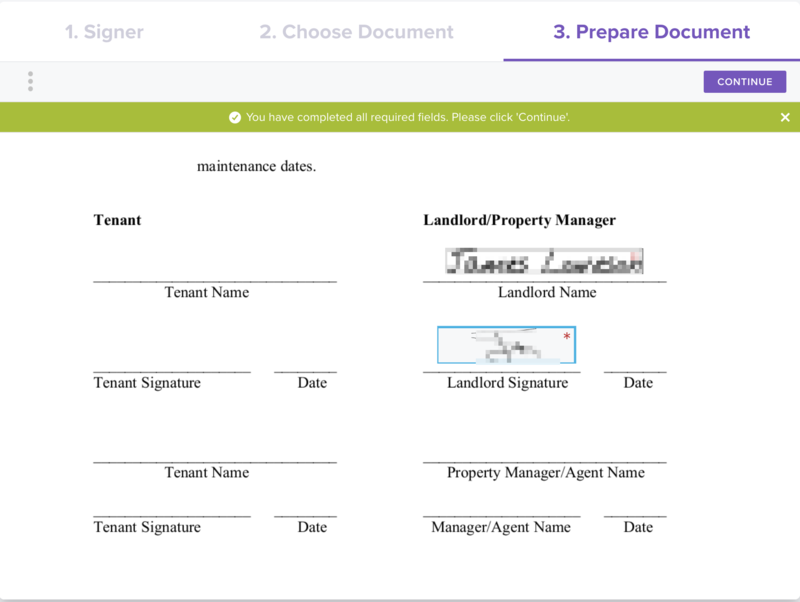 The HelloSign toolset allows you to set the Signature, Initials, Checkboxes, Textboxes and Sign Date placeholders. 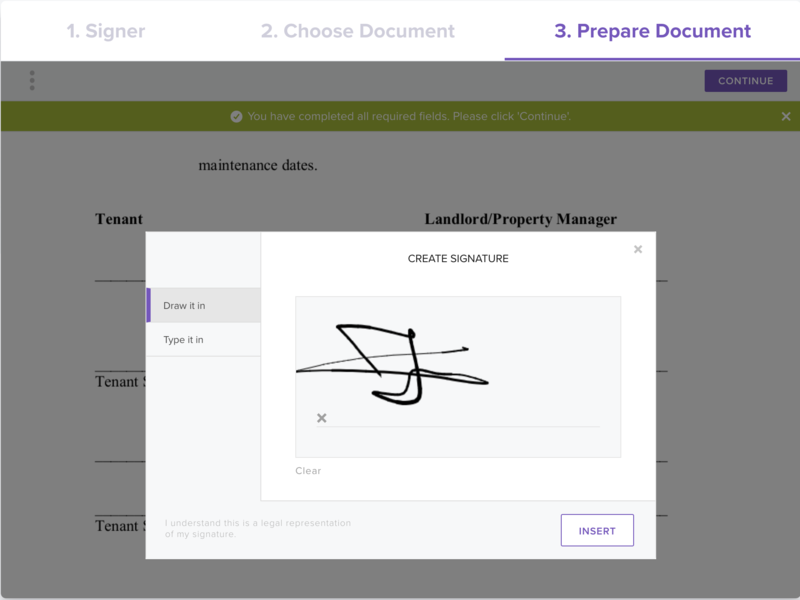 They all work the same, so we'll show you how to set up the Signature placeholders as an example. 9. 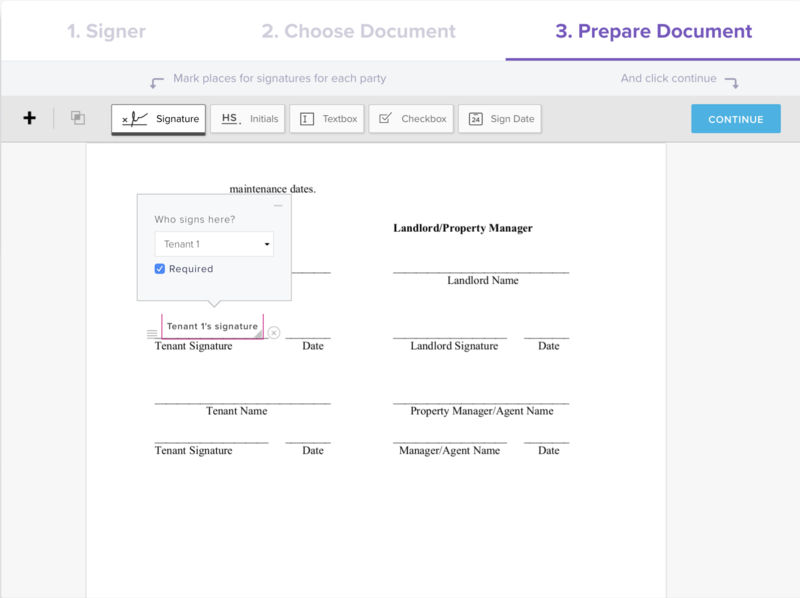 Click on the 'Signature' and then choose the area where the signature should go in the document. Then choose who's signature should be placed here. 10. 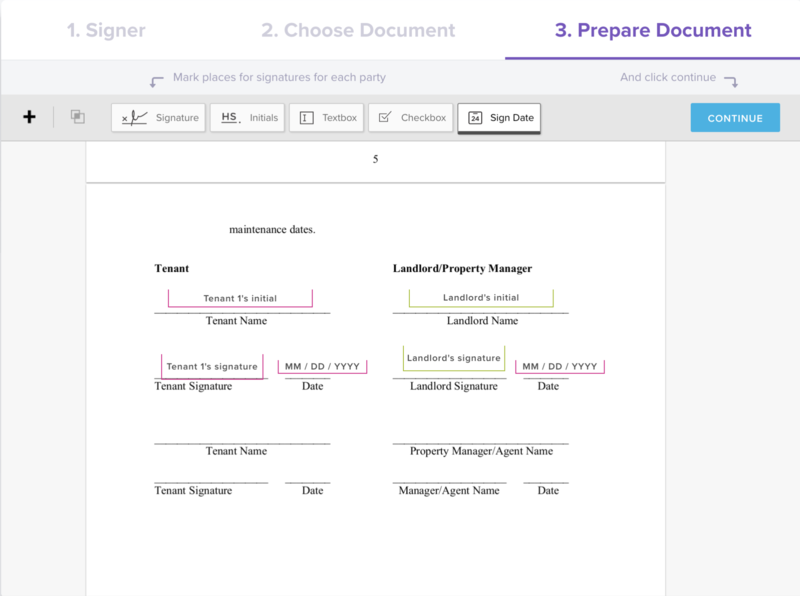 Do the same to set up the placeholders for all signatures, initials and lease agreement dates. Then click on the 'Continue' button. 11. Now it's time for you to sign the contract first. 12. 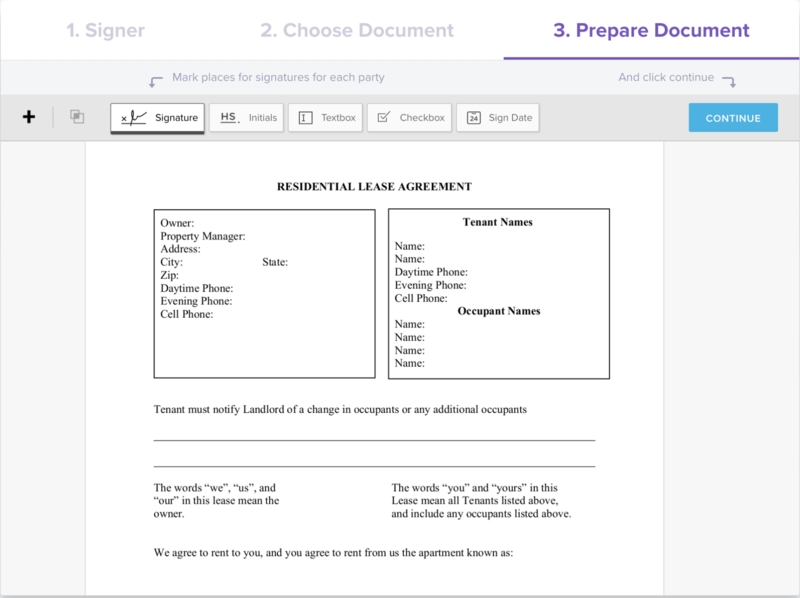 Sign the document with the help of your computer's mouse or with your finger if you're using the touchscreen. 13. After everything is done, just click on the 'Continue' button on the top. 14. Now you have to agree that this document will be legally binding. After that, the contract will be sent to your tenant for a signature. 14. 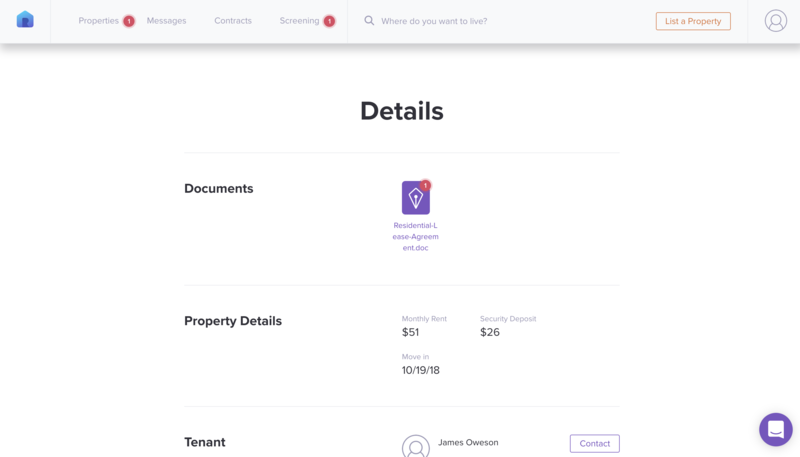 Once the tenant signs it, you'll be notified and will also be able to review the updated document on the property page.